Another beautiful natural Aquamarine loose gemstone for sale, mined this time in Africa this gemstone comes with a nice deep light blue color, pear in an elegant pear shape this untreated aquamarine has a good clarity and a nice luster that make it very attractive and sparkle and ready to be mounted on a jewel like a pendant or a ring. No treatment was applied a this beautiful Aquamarine loose gemstone, that present some minor inclusions but a very nice color with strong light blue saturation. Feel free to contact us to buy this gemstone simply compiling the form below with your data, we will reply to your email address with a paypal invoice. 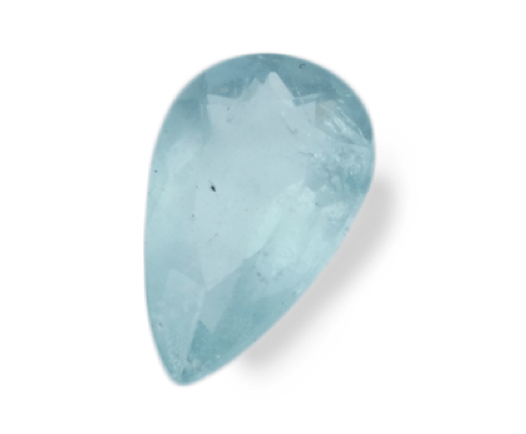 For more natural Aquamarine you can click this link and visit our main online gemstone shop. Dimensions: 10.6 x 6.3 x 3.8 mm.